Building from last months topic of “All about the iPad” we will be discussing how the Mac is still a critical part of our everyday digital computing life. We will discuss the new Mac products, the upcoming Mountain Lion and how people are integrating all these devices. 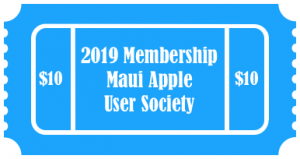 Prior to the start of our meeting topic, we will be holding an annual meeting of the members to elect board directors, discuss finances, and membership. Information will follow in a separate post. As always we will save time for your Mac, iPhone, iPad and iPod questions.